Andrew McQueen: Head Chef at Cucina - Radisson Collection. With changes at Cucina restaurant and the new Rock Rose Gin Terrace in full swing, it's all go at Radisson Collection Royal Mile. After rebranding earlier this year, there have been significant changes at the five star hotel on the Royal Mile. 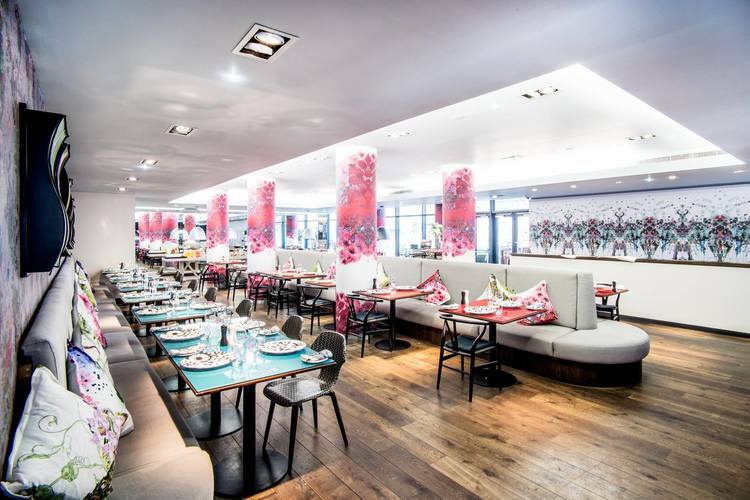 We had a chat about the changing menus at Cucina with the new Head Chef Andy McQueen. 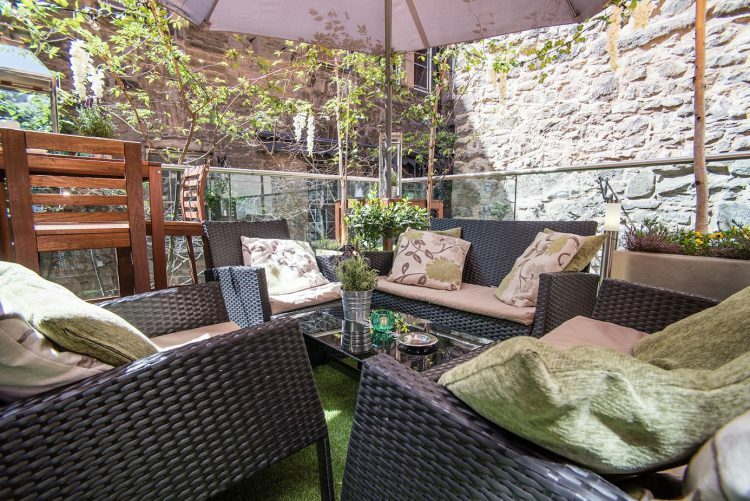 And if you want a shady place to escape the Old Town crowds, we can recommend the hotel's Rock Rose Gin terrace which is tucked away off the Royal Mile. 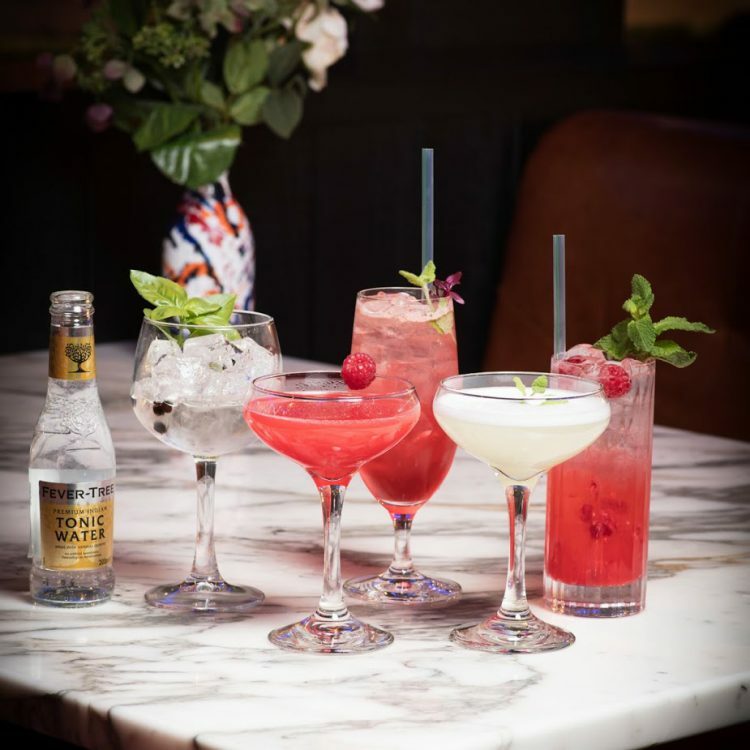 Using Rock Rose Gin from the northernmost gin distillery on mainland Britain, the terrace mixologists are on hand to serve a variety of beverages. We like the sound of the Colourist Medley, made with Rock Rose gin, clarified lime, roses, red mustard and egg whites. Of course, you can book in for a meal at Cucina via 5pm Dining. As well as set menus at £16.95 and £19.95, Cucina serves an afternoon tea and a vegan afternoon tea. Booking with 5pm will give you a 25% discount on the a la carte menu. Cucina has a spectacular dining room. What changes have you made to the food offer since starting at Cucina? AM: All the food is prepared fresh. Our meat and fish come on the bone and are prepped in-house. The soups, stocks, pastas and so on are all made in-house. The menu has been engineered for a quicker service and the prices are more customer friendly. Post-Missoni, the hotel no longer has to define itself as Italian. How would you describe the food now? AM: The food offering is more like a brasserie with an Italian influence. Where do you see the menu going? AM: I would like to see the restaurant going along the lines of an upmarket Scottish brasserie, with elements of fine dining. We use a lot of herbs which we grow in-house using the EvoGrow Hydroponic which is on display in the lobby. You recently launched a vegan afternoon tea. Are you seeing more guests with specific dietary requirements? AM: We get a lot of people asking for gluten-free, vegan and vegetarian. I think that this is the way society is and all chefs have to think about this when engineering menus. In general, there is a trend towards healthier eating and eating less meat. 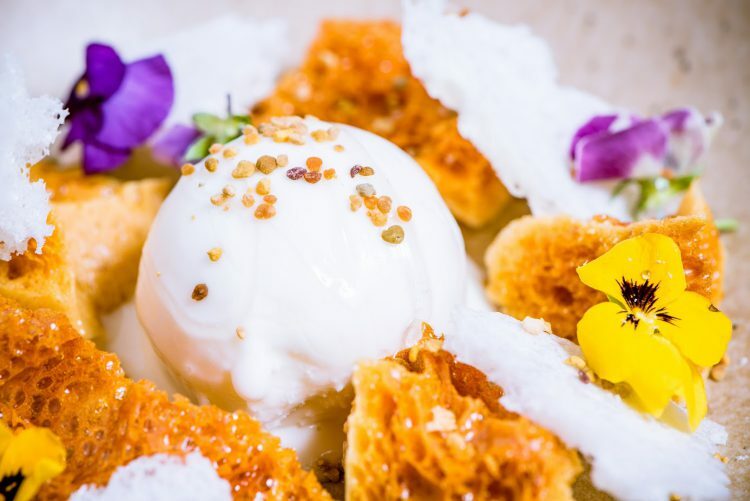 Cucina uses honeycomb from its rooftop bee hives. Cucina uses herbs from the EvoGrow and honey from your own rooftop hives. Can you spell out some of the dishes these ingredients are used in? AM: Nearly every course on the menu will use a herb. For example, we have ham hock croquettes with a quail egg salad which incorporates herbs from the EvoGrow. Another dish is saffron linguini with hand-dived scallops, prawns and salmon. We use herbs to help garnish and add flavour to the dish. We display our honeycomb on the breakfast buffet each morning for guests to use. We also use it in smoothies on the breakfast buffet. What other local suppliers are used? AM: We use an award-winning bakery called Breadwinner and Pekoetea who supply our different flavoured teas. Is there a most popular dish for your customers? AM: I wouldn’t say there is one popular dish as it’s varied. We do sell a lot of pasta dishes. What got you into cooking to begin with? AM: Watching my Gran cook lunch for the whole family every Sunday. I also helped my mother to cook. There have been big changes in Scotland’s restaurant scene in the last twenty years. What have been the most important for you? AM: There is more awareness and knowledge from the guests. We now have social media coverage and there is a lot of competition. Allergen information is key - this is very important as this affects people’s health. Menus can be difficult to engineer and execute as you have to be careful with cross contamination. We spend a lot of time ensuring our menus are perfectly executed in this respect as it is so important. The Rock Rose Gin terrace offers a welcome respite from the bustle of the Royal Mile. You have a magic wand. What one thing would you change about Scottish restaurants? AM: If I had a magic wand, I would love to magic up more chefs, as there seems to be a shortage of good ones. Or a self-cleaning kitchen! Is there any food you hated as a kid but love now? AM: Brussel sprouts and broad beans. What is your favourite ingredient to work with? Why? AM: I love to work with fresh herbs as they can help add flavour to a dish and take it to another level. What do you like to eat on a night off? AM: I like to eat Asian or Indian curries. 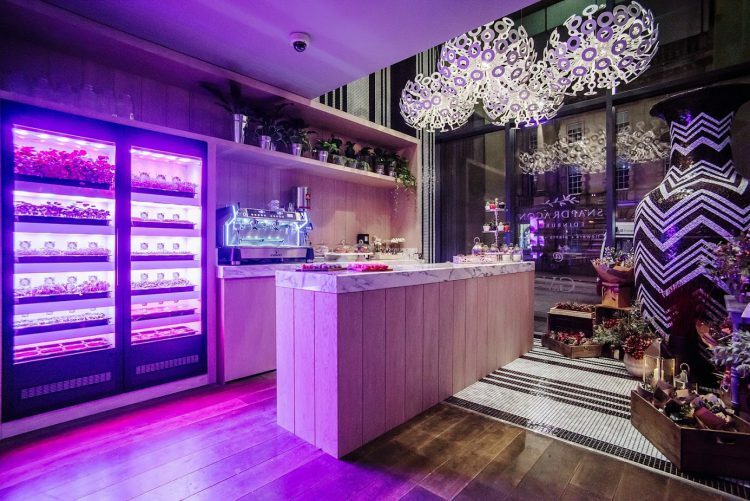 The EvoGrow Hyroponic system in the lobby of Radisson Collection Royal Mile. Is there a chef who has inspired you? AM: Marco Pierre White, the Roux brothers, Gary Rhodes. You can get anyone in the world to cook you a meal. Who will it be? Apart from your own establishment, where do you like to eat out? 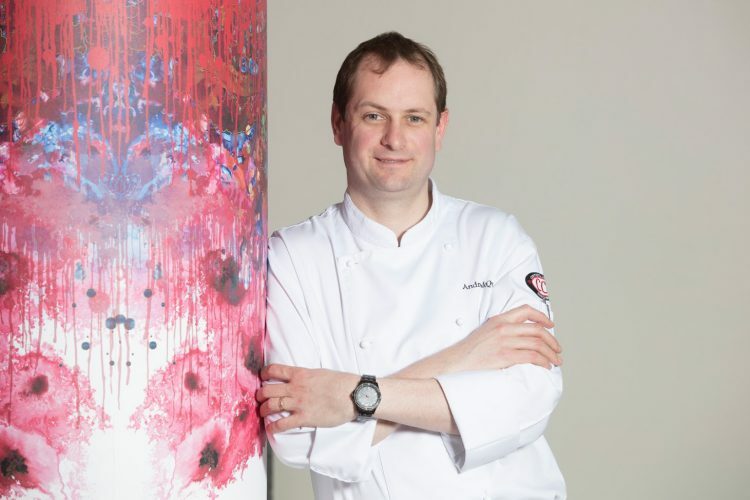 AM: I like to eat in Michelin starred establishments, and the best was Andrew Fairlies at Gleneagles. I had the seven course tasting menu with wine. AM: You can be creative and you work with many nationalities and interesting people. AM: Long days, not seeing family and friends. What’s been your worst kitchen disaster? AM: A sewage pipe back-fired into the kitchen of a local restaurant. We had to shut and throw out all the food, clean up, reorder all the food and make everything all over again. You’re cooking a special meal for your partner. What’s cooking? AM: I would start the evening with a nice glass of Champagne. To start the meal, we would have smoked salmon tartar followed by confit duck cassoulet. I would finish with an exotic fruit salad with a banana and passion fruit sorbet. Who would win in a fight. Heston Blumenthal or Gordon Ramsay? AM: I think maybe Heston. Rock Rose Gin cocktails are served on the terrace.